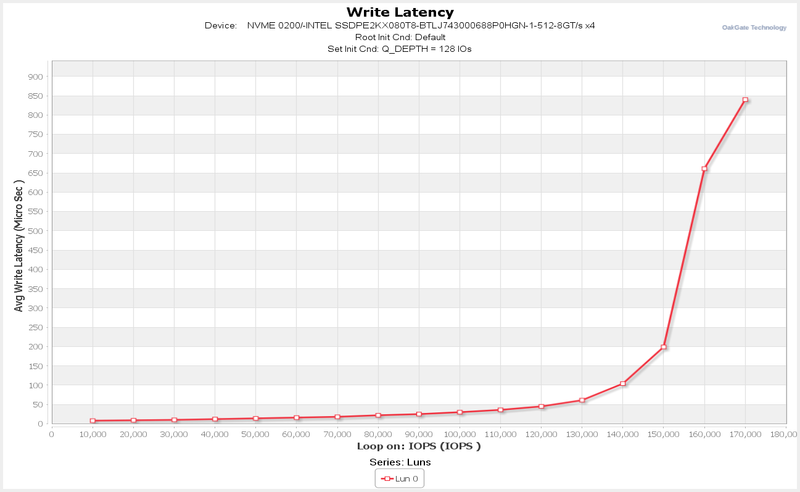 capacity (to facilitate the achievement of a steady state). 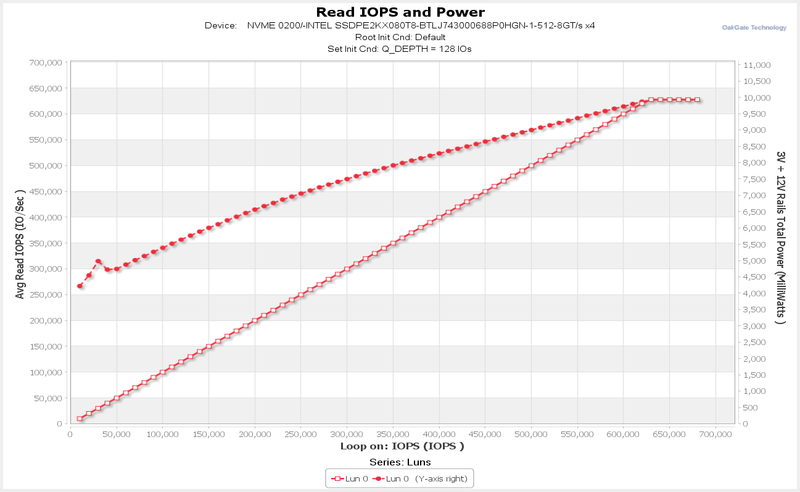 that the increase in IOPS demand can no longer be met beyond 630,000 IOPS. 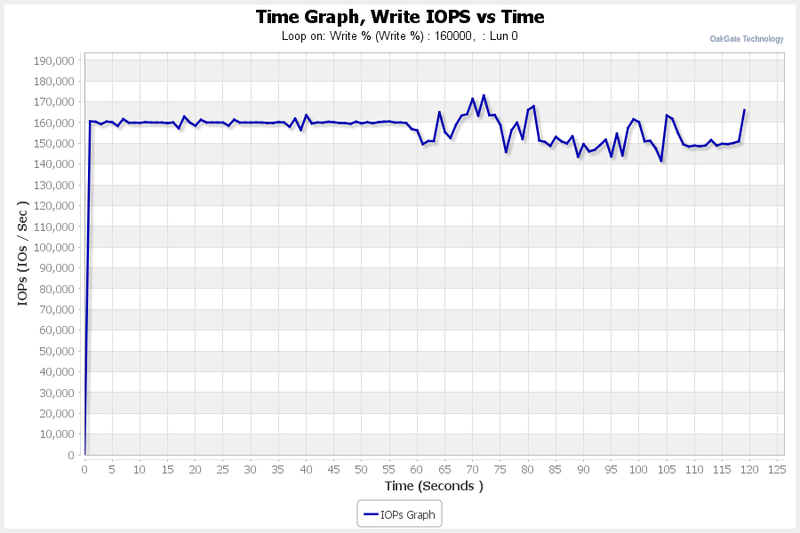 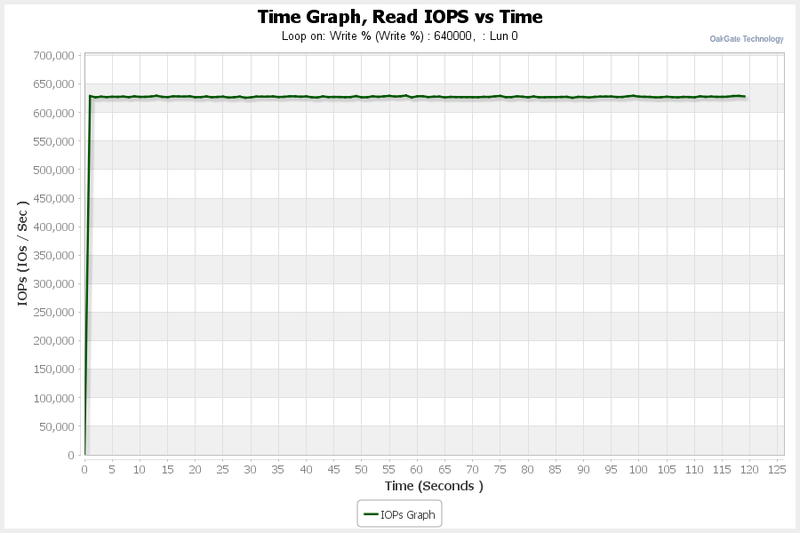 that the Read IOPS is peaking at around 630,000.
as the IOPS demand increases. 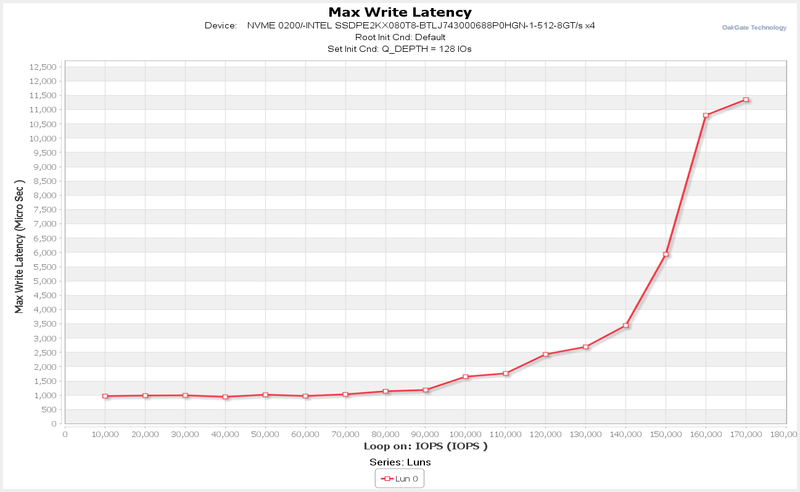 all the way up to its maximum IOPS level. 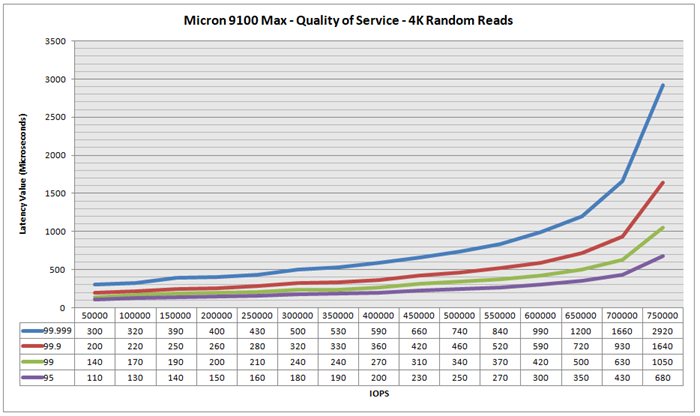 This is an outstanding result. 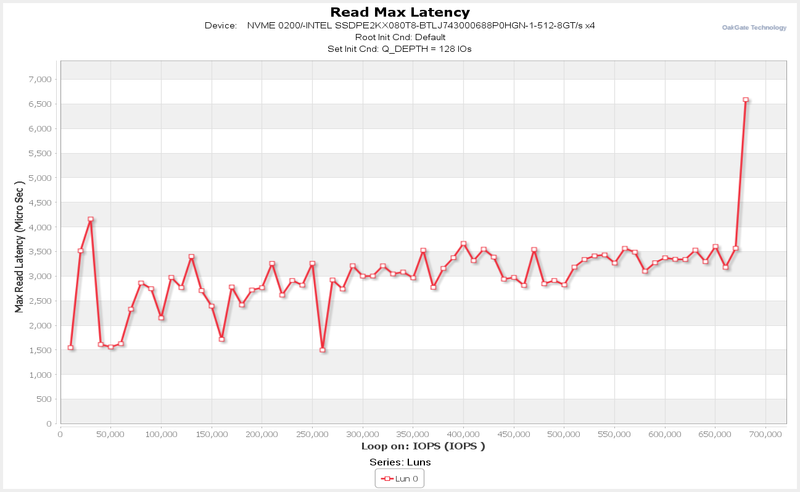 There are no notable Maximum Latency spikes. 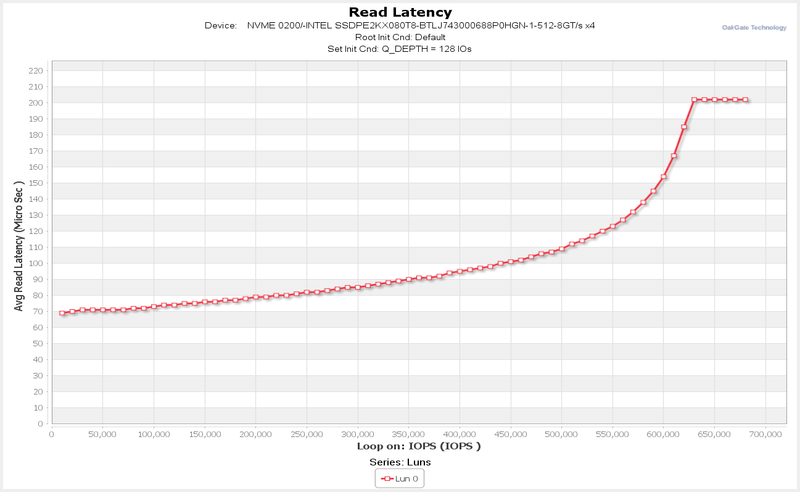 highlighted by the red graph line. 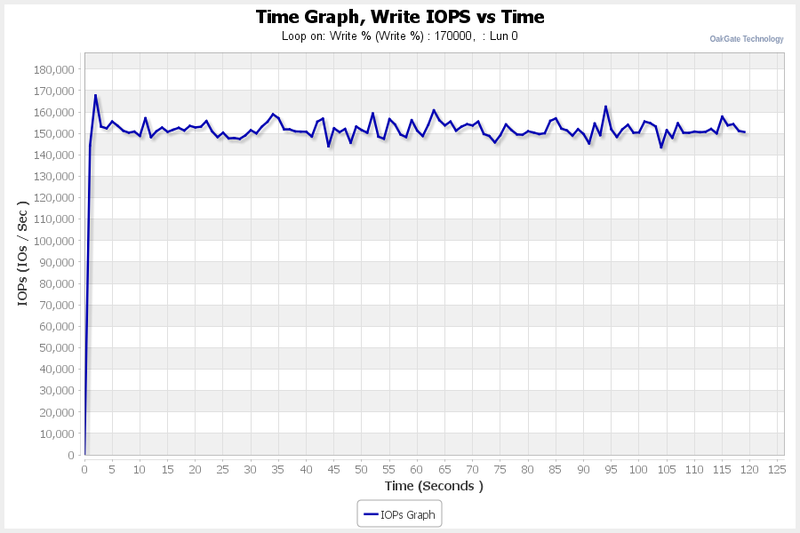 that the increase in IOPS demand can no longer be met beyond 150,000.
falls back to around 150,000.
that the drive is now consistently falling short of the demand. 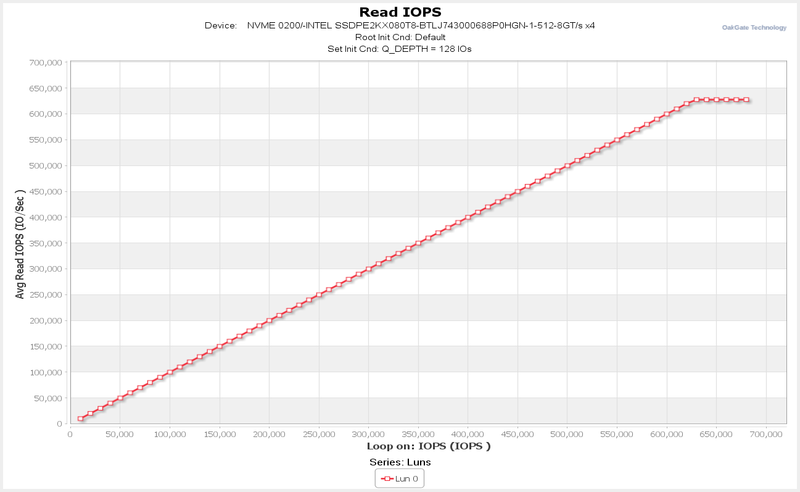 all the way up to a demand of 120,000 – an outstanding result. 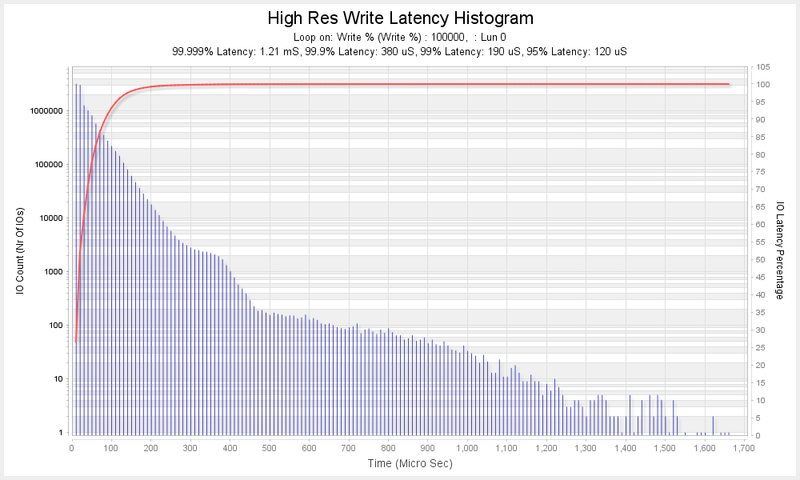 There are no notable Maximum Latency peaks. 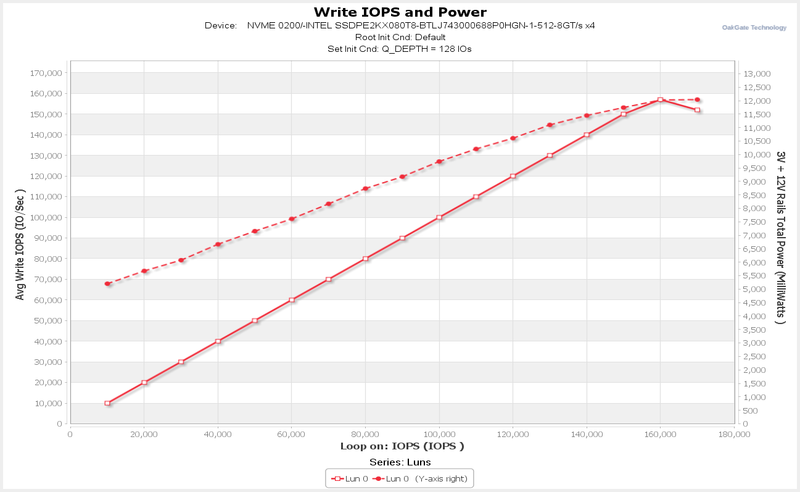 range without having unexpected outliers. 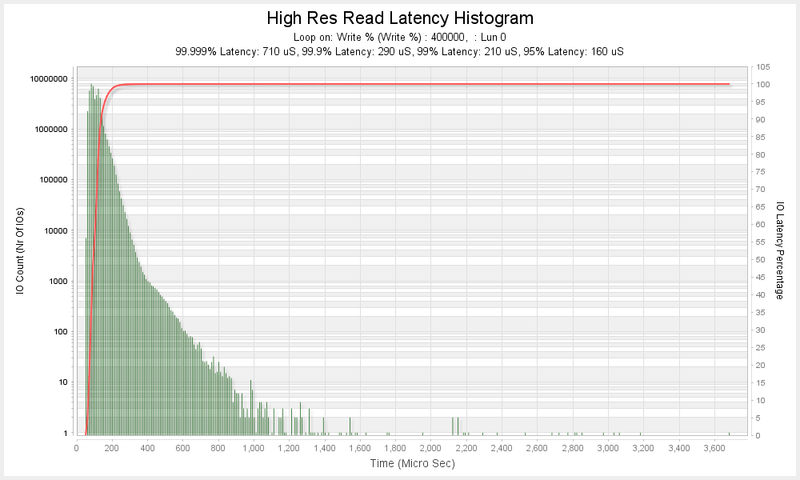 4K Random Reads and Writes at a Queue Depth of 1 and/or 32.
temporarily starving host IOs thus causing significant latency variation. 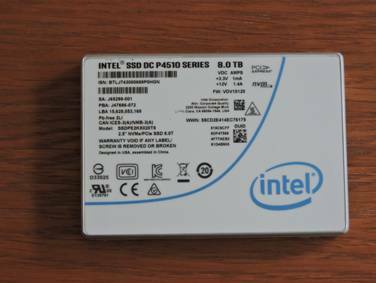 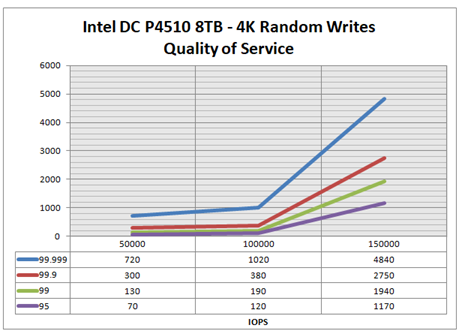 by the Intel DC P4510. through 600,000 IOPS, in increments of 50,000 IOPs, and charted them below. 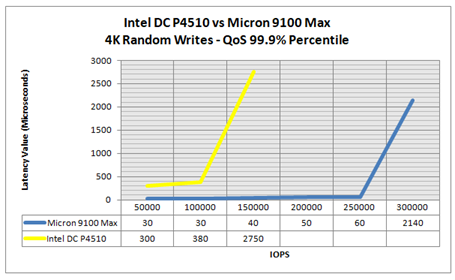 the Intel DC P4510 is higher (worse) than the Micron 9100 Max. 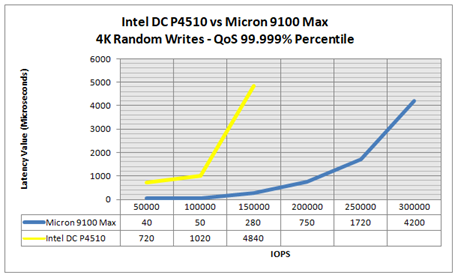 P4510 is consistently lower (better) than the Micron 9100 Max. 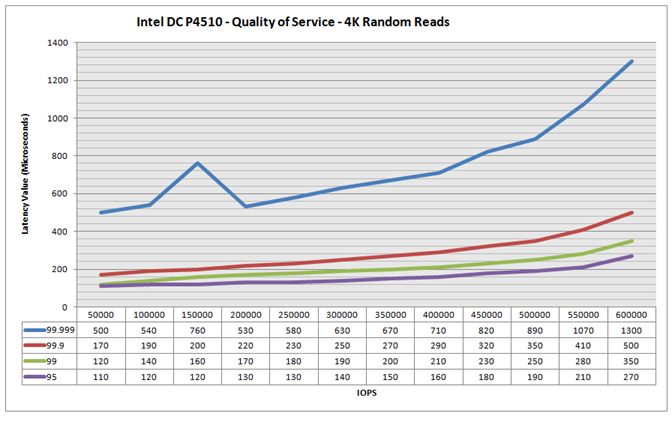 Write IOPS demand, up to 300,000.
than the Intel DC P4510. 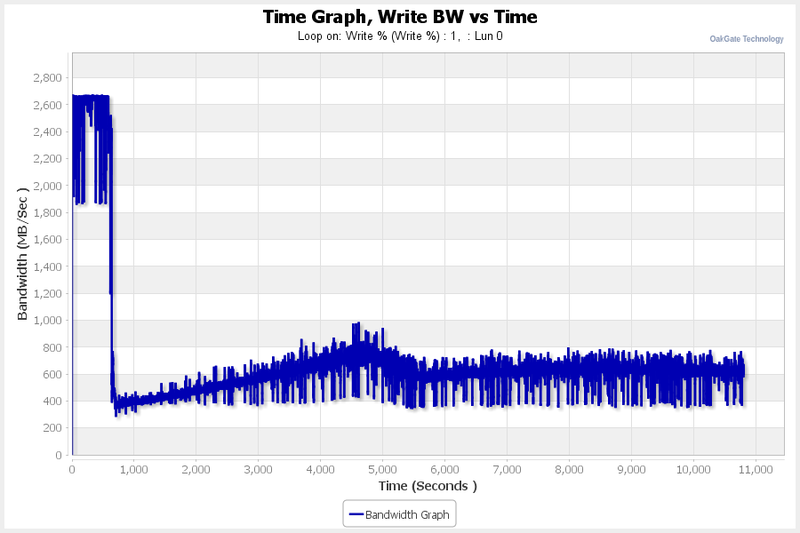 for the Myce/Oakgate Reads and Writes Tests…..